JJ White is the Chief Engagement Officer of Dale Carnegie Central and Southwest Virginia and Central West Virginia. He’s also the newest Chair of the Virginia Council of CEOs. Maybe he looks familiar. It could be you’ve seen him on Facebook or iTunes hosting “The Great People Show” – a weekly radio program broadcast in Richmond and (hopefully) coming soon to Phoenix. If you listen to JJ’s podcast, you know he’s not afraid to ask difficult questions. 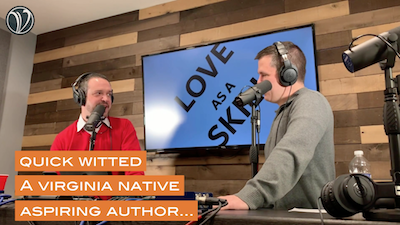 He’s funny, quick witted and often drops inspiring quotes into conversations – whether it’s in his podcast or in person. He’s a voracious reader and aspiring author. He’s also a Virginia native who loves the outdoors and his family: his wife, Samantha, and children Ike (9) and Millie (6). We sat down with JJ at his podcast studio on Valentine’s Day to learn more about his business and how he hopes to shape the Council during his tenure as Chair. Here’s what he had to say. Q: HOW WERE YOU INTRODUCED TO FRANCHISE OWNERSHIP? So it was a completely owner-financed deal, and it was right after the September 11 recession. It was a really rough start. I didn’t have any idea what I was doing. I was winging it. I put two extra mortgages on my house, but I made it, and we built a business. And then in 2008, I had the opportunity to buy the Central Virginia franchise and have been here ever since. Q: YOU SAY DALE CARNEGIE IS YOUR CALLING. WHY IS THAT? A: The reason I love being with Dale Carnegie is because we do so much good for other people. I’ve seen people’s lives transformed, because you’re talking about relationships and overcoming their self-limiting beliefs. Most of our leadership ability comes from two places growing up: our parents and our teachers, and then once we get into the working world, from other leaders. Well, sometimes there are patterns there that need to be redirected or broken, and people need to be given the tools to let them see themselves in a different capacity. It’s a joy to be part of that. It’s challenging, but it’s worth every minute. Q: YOU OPERATE TWO FRANCHISES. WHAT’S THE BIGGEST CHALLENGE FOR YOU? A: The hardest part for me, being a business owner, is this is very easily an owner-operated business. I could do everything, if I wanted to, and be successful at it. I could be a trainer. I could be a salesperson. I could be the janitor. I could take care of all of it. And I think that’s a trap. You end up hanging out in the part you’re really good at and you don’t realize that you need to build the business by investing in people to do the sales and the training, etc. And it’s not just to build a strong business that you can eventually exit from, but to give other people the opportunity to really do and exercise their gifts. Q: ALONG WITH MANAGING THE FRANCHISE, YOU ALSO HOST “THE GOOD PEOPLE SHOW” PODCAST EACH WEEK. WHY THAT PLATFORM? Our focus, whenever we pick topics on the show, is to get people thinking about something that they’ve not thought about in relation to two things: themselves and how it impacts other people. Our show today, before this interview, was about how the word “love” is just completely misunderstood. Most people don’t truly express love for people like they should. So it’s part of getting people out of their comfort zone to think differently about everything going on around them. Q: YOU WERE ELECTED BOARD CHAIR IN JANUARY OF THIS YEAR. WHAT DO YOU HOPE TO ACCOMPLISH DURING YOUR TENURE? A: My mode of operation in everything I do is to try to be the best listener that I possibly can be. And there’s so much irony in that, because people associate Dale Carnegie as speakers. We are not the “sage on the stage” – we’re the guide on the side. My role is to really stand back and listen to what other people want to have happen in their business and in their life, and to guide Scot [Scot McRoberts, Executive Director, VACEOs] to make those decisions that will provide as much value to the membership as we possibly can. Never before in our society have things changed so often and so fast, and the Council of CEOs is not exempt from that pressure of change. And what I believe you’re really going to see in my mission over the next year is, how do we reimagine some of the things we’re doing to provide even greater value to our membership? We don’t want to mess up our core – we don’t want to flip things on its head – but we have to be looking at things from the members’ perspective and – back to that listening thing – really hearing and watching what other people are wanting and struggling with that the Council can provide that’s part of our core. Thanks for spending time with us, JJ! The Virginia Council of CEOs is an organization built on a solid mission and strong leadership. With more than 250 CEO members from the Richmond and Charlottesville regions, the Council is as diverse and strong as ever. Ready to learn more? Hear why JJ values the Council in the video below, then consider becoming a member. Learn more about membership criteria here. 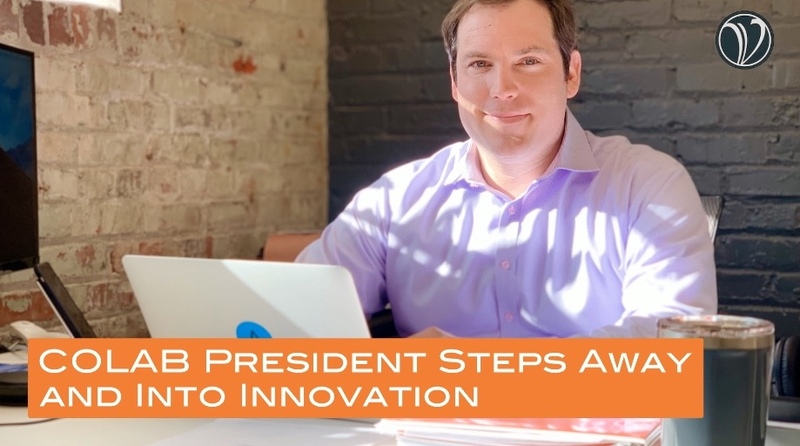 For Eddie O’Leary, president of web development firm COLAB, one of the best business decisions he ever made was to step away from it – to release himself from operational concerns, that is, and focus on the reason he got into business ownership in the first place. It was two years ago when he had a serious discussion with himself. “So for me, I had to kind of put my ego in check, and I had to say, ‘You know what? There’s really somebody else who can run this business better than me, and I’ll focus on strategy and sales and the things that I really like,’” explains O’Leary. In this case, that meant a sustained focus on growing the business and building up his leadership team – and investing in a quality chief operating officer. Turns out O’Leary’s ego check has paid off royally. 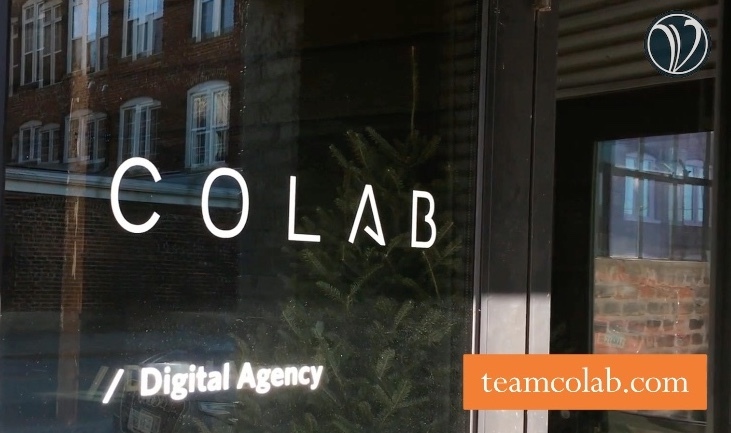 In 2018, COLAB made Richmond BizSense’s RVA 25 list of fastest-growing companies (again) and attained Inc. 5000 Fastest-Growing Companies status for the first time. Today, COLAB is in innovation mode, reaching into untapped opportunities that may not have come about otherwise. He’s particularly excited about the opportunities Alexa may bring. The reinvigorated COLAB of today augments large-company marketing teams and designs apps for voice recognition platforms like Alexa. O’Leary is particularly excited about the opportunities associated with smart speakers, smart TVs, and the Alexa and Google Home product lines, as consumers are moving away from web searches and using voice-activated tools for information instead. According to O’Leary, it’s a trend business owners need to keep an eye on. “The growth in that area has been tremendous,” he says. “It’s [Alexa] a device no one had heard of three years ago, and now something like 42 percent of people have them in their homes.” It’s an untapped area well-suited to COLAB. In fact, the team just released the first smart speaker app for the Virginia Lottery. 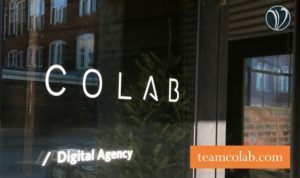 After a stint building websites and web applications, O’Leary saw an opportunity, and COLAB was born – and, though it wasn’t his initial intention, he became a CEO. Whatever the name or role assigned to him, O’Leary is clearly a LEADER. He has the courage to act on opportunities, even if that means a bruised ego. “I think there comes a time for some people like me when you have to recognize that doing everything yourself or solving all business challenges or being in charge isn’t what necessarily defines success for you,” he says. Empowering others. Acting on opportunities. O’Leary a leader by default? We think not. O’Leary has been a member of the Council since 2014 and he’s found that the relationships he has formed there have helped him make smart decisions. 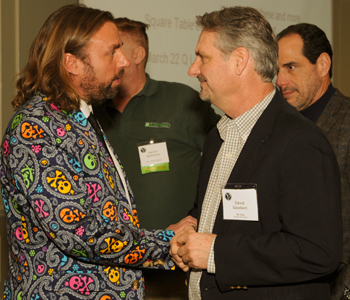 Virginia Council of CEOs is full of innovative leaders like Eddie O’Leary. Sign up for a Get to Know VACEOs event to learn more! We believe Steve Rosser might just be the happiest man in the world. 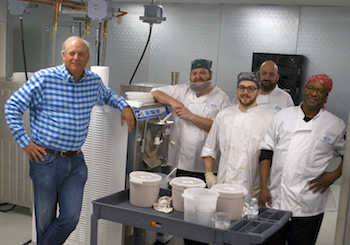 We met him earlier this month at his new 9,250-square-foot production facility at 1908 North Hamilton Street in Richmond, just five weeks after the facility started producing what is arguably one of the most addictive of products ever made: Gelati Celesti ice cream. We were worried Steve might not have time to chat in the middle of opening a new production facility during his busiest time of year, but, as usual, he was welcoming and all smiles. And why not? He’s grown a small ice cream shop with a small production area out back and a staff of nine into a local ice cream shop icon – with four retail stores, a wholesale customer stream and 110 employees. Steve’s product may be a soft sell, but don’t underestimate this entrepreneur. He’s an accomplished businessman with a point to prove. We spoke to him about managing growth and balancing work and life. We learned about what he considers the most important business decision he’s made and more. Here’s what this VACEOs member had to say. Steve’s background includes long stints in executive-level positions with Luck Stone Corporation and Reynolds Metals Company. In 2010, it was time for a change. He and his wife, Kim, purchased Gelati Celesti and never looked back. The brand quickly grew from one store on Broad Street in Henrico County to multiple locations across Richmond. In February of this year, a fourth retail location opened at 1400 North Boulevard in Scott’s Addition. 2010: Steve and Kim Rosser purchase Gelati Celesti shop in Golds Gym Plaza in the West End from Peter Edmonds, who co-founded the business with his father in 1984. Steve Rosser with his production team in new facility. 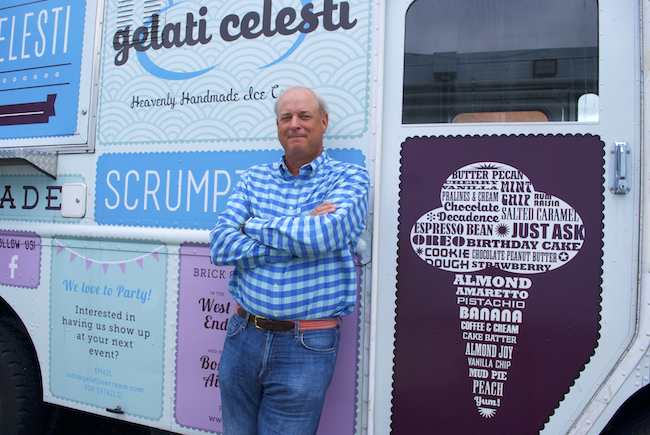 After the second Gelati Celesti store opened and his food truck service was in high demand, Steve quickly realized he couldn’t be everywhere at once and his culture was in jeopardy. So he called in some help. He and his management team worked with John Sarvay at Floricane. SEVEN DAYS A WEEK, 363 DAYS A YEAR. WORK VS. LIFE: IS THERE BALANCE? Gelati Celesti stores are open seven days a week, 363 days a year, and stay open until 10:00 or 11:00 p.m. at night. “I’m always on duty!” says Steve. Still, he insists he does balance work and life beautifully – especially now that he has a great team in place to manage the day-to-day operations. For now, he’s clearly a happy man. When Dr. Anthony Duncan isn’t working hard on his new franchise business, he’s actively seeking ways to help at-risk youth in the Richmond area. His desire to make a difference led him to an opportunity with the well-known Mosquito Authority franchise, but it was his faith that propelled him to greater action. 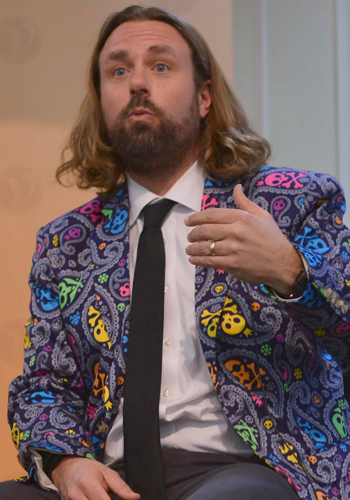 While attending a formal presentation about the franchise opportunity, Duncan had a revelation. “I decided that if I wanted to make a strong impact with little worry about finances, then this franchise opportunity would allow me to really do that,” he explains. Duncan purchased the Richmond Mosquito Authority territory in 2010, but subsequently found little time to work on the business. In 2011, he got a push from above that moved him forward. Since then, this entrepreneur, who admits he has “no business background whatsoever outside of running a private practice,” has expanded his business into Maryland and New York – and hopes to eventually do business in Puerto Rico, a place that’s particularly dear to his heart. 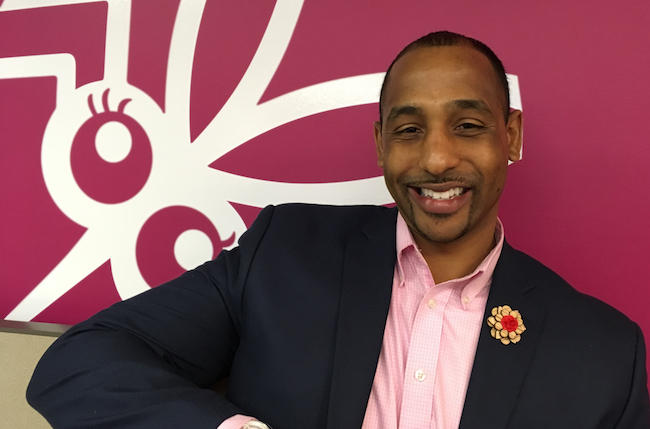 We sat down with him and asked about his background: “Why do you feel called to work with at-risk youth?” “Do you have to be crazy to want to be CEO?” And, “What do you dream about?” Here’s what this Richmond entrepreneur and new member of the VACEOs had to say. Q: Your background includes a deep appreciation for psychology as well as franchise ownership. First, why psychology? A: When I was an undergrad student, I met a professor who taught Intro to Psychology. His name was Dr. Adolph Brown III. Psychology really resonated with me – the attempt to understand behavior. Dr. Brown became my mentor. He told me I must get my doctorate, and so I did! Q: After you received your doctorate, you worked with youth at the Department of Juvenile Justice. What is it about working with young adults that calls to you? A: I come from a single-parent family background. I was raised by my mom, and I have two brothers. She worked really, really hard. I found myself going to college and becoming able to navigate through life successfully, and I really wanted to give back and work with individuals like me who come from single-parent families. I was at the Department of Justice for about five years. I really enjoyed that experience. I’ve moved on from the Justice Department, but I’m still really focused on reaching this segment. Last year, we developed a mentoring program for 10 young adults in our office. I’m pretty tough – helping them understand that if you want to play in the marketplace, you need to have high standards. There’s no such thing as perfection, but you need to always strive for excellence and always want to get better. Q: You’re a trained clinical psychologist who’s now a successful franchise owner. We have to ask: Do you have to be a little crazy or unbalanced to want to be an entrepreneur? A: Well, we don’t use the word “crazy,” as it’s not a technical term! But if you think about the word “unbalanced” and being an entrepreneur, it’s hard to stay balanced. Obviously, we want to mitigate as much risk as possible, but we do take on a lot of risk – because that’s where the reward lies. Plus, there are only 24 hours in day. This whole idea of balance and being an entrepreneur is idealistic. The key, I’ve found, is to be cognizant and aware of the times I’m not engaged with my family. Q: What are your business and personal goals? What do you dream about? A: As I mentioned, I was raised by my mom, who is from Puerto Rico. I have this desire and obligation to make sure she is taken care of. That’s what keeps me up and keeps me going. I really want her to enjoy the fruits of my labor because of all the sacrifices she’s made for herself and her kids. Q: Your mother is from Puerto Rico. Have you been there? Thanks for taking the time to meet with us, Anthony. And welcome to the Virginia Council of CEOs! Dr. Anthony Duncan and his team help U.S. Virgin Islands and Puerto Rico victims of Hurricane Maria. It’s easy to get lost in the focus on business, isn’t it? The changing environment. Mergers. Acquisitions. Unprecedented revenue gains. Inevitable downturns. The addition of employees and business lines. New business ventures. It can become a constant pull. But on January 25, 2018, I was pulled in the direction of a different narrative: one about a fellow CEO’s emotional and physical transformation. From lack of fulfillment to purpose. 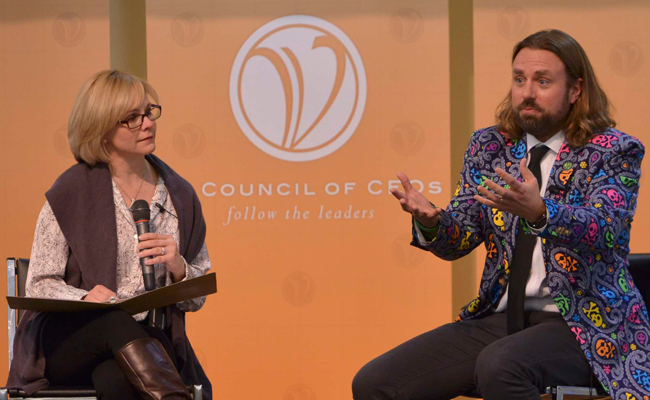 From focus on self to focus on community. A transformation that would ultimately result in a life lived more genuinely and a business fueled more by inspiration. The story I heard was that of David Gallagher, CEO of Dominion Payroll. In business for only 15 years, Dominion Payroll is a global nine-time Inc. 5000 honoree that employs approximately 150 people. The company’s new headquarters is located in Richmond’s trendy Scott’s Addition. For David, everything has changed. Personally. Professionally. Physically. His focus is now clear. And he’s free to be the man and the CEO he always wanted to be. He’s no longer the formal entrepreneur I met back in 2003, when he became a VACEOs member. His demeanor is more spiritual. His hair much longer. He wears a wicked jacket with colorful skulls on it. David’s journey is about a successful business person who always longed for a greater purpose in life. It’s also about the utter heartbreak following the death of his 16-year-old daughter Cameron from an undiagnosed heart condition in 2014. It was the convergence of these two forces that proved to be the catalyst for his personal and business transformations. Inspired by their daughter’s work to help adolescents battling depression, David and his wife, Grace, established the Cameron K. Gallagher Foundation. * Their passion soon became the passion of employees at Dominion Payroll, as well. David admits he had concerns about merging his two worlds – his cause and his business. But the voice of his employees was too loud not to hear: They wanted the cause to BE the business. Now Dominion Payroll’s incredible growth is fueled by the culture inside the business – employees’ belief in a common purpose and their knowledge that they are working for something much greater than themselves or the task at hand. Today, David has fulfilled the dream of his younger self. He’s a part of something much larger than his own life and his own business. He is a self-proclaimed “community instigator,” driven to build up communities. His perspective is much wider, and he has a greater spiritual presence. I am proud to call Dave a friend, and to have him in the VACEOs community. While he is extraordinary in his own way, I find amazing stories like this in all 220 of our members. What a gift to be in relationship with this group of people. The Cameron K. Gallagher Foundation is a beacon of hope for those who are affected by teenage mental illness. We help empower teens and their families to proactively take care of their mental health and to seek help when they need it. Learn more: http://www.ckgfoundation.org.